My Aunt Leah recently moved from North Carolina to Ohio and as she was “downsizing”, she came across this beautiful Willow Tree Angel that she completely forgot she owned. The angel is holding a baby bird hatching out of an egg and the name of the angel is “Angel of Miracles”… coincidence? I think not. Over the course of 10 months, when I start to become discouraged, I have felt God pick me up and carry me by sendingenc ouraging cards and gifts from others. This angel is one of those gifts. I was happy for all of them on so many levels. They not only had a positive pregnancy test, but their hope and faith in God had been restored and I give Him all of the glory. But despite my sincere happiness for them and my thankfulness that He was able to use me, there were moments where I felt the “sting”. Each sting would come as the enemy whispered to me I had been forgotten or that I was doing something wrong. Its been over a year since I have placed my trust in God with my circumstance, yet after only one month of giving their situation over to Him, they saw the double lines I have only seen in my daydreams. My mind went into overdrive. I mentally rehearsed possible solutions and my brain became a flurry of activity by thinking of everything I should or shouldn’t do. What did they do that I haven’t been doing? What prayers had they been saying that I wasn’t? What did I need to stop doing? What did I need to start doing? What was I doing wrong? UGH! So many thoughts kept running through my head of what else I could or should do; but it wasn’t long before I realized each thought I entertained was just me trying to take back control. I had forgotten about my shower conversation until last night when my Aunt handed me this lovely “Angel of Miracles”. I love how God, through this angel, reminded me of not only His promises, but also of His perfect timing. If she had given me this angel just four weeks earlier, it wouldn’t have meant as much to me as it does today. 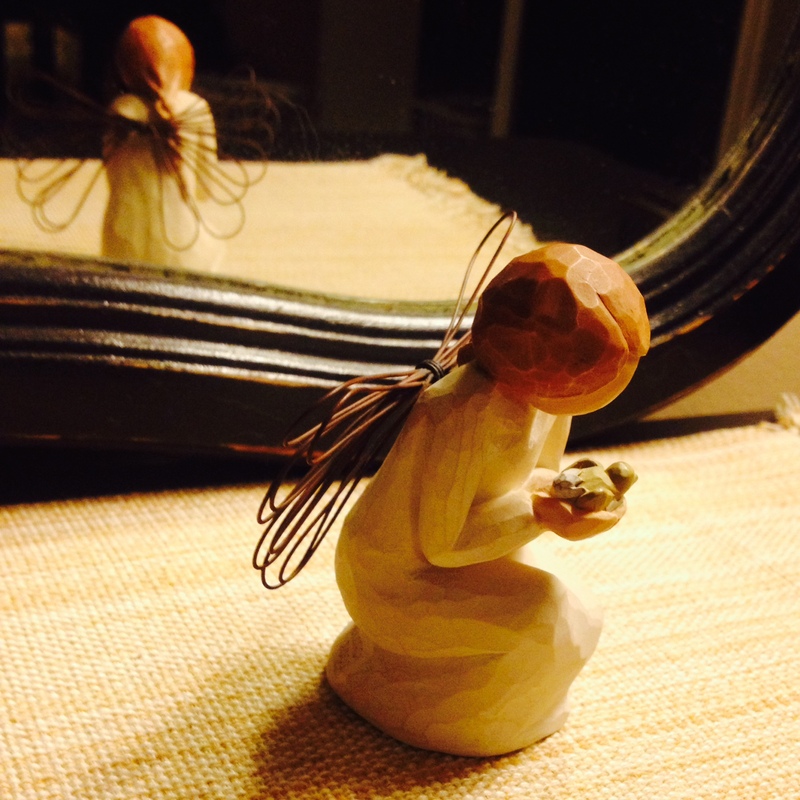 I have placed this beautiful, God given angel on my dresser as a reminder of His faithfulness, and as a source of encouragement to not waver in my faith as I wait for the miracle He will perform. I am believing that my baby bird will truly be a miracle from God. Thank you Aunt Leah and thank you God. I thought I may have been the only shower crier haha …I’m also a car crier. a lovely gift that was perfectly timed. you are so right about the timing in our lives. it means literally everything. stay positive and hopeful. I have been known to stop everything and go take a shower because I needed to cry…it’s my safe place. hehe! Thank yo us much for your encouraging words girl! Have a great week! Thank you! I can’t wait to write that post!! 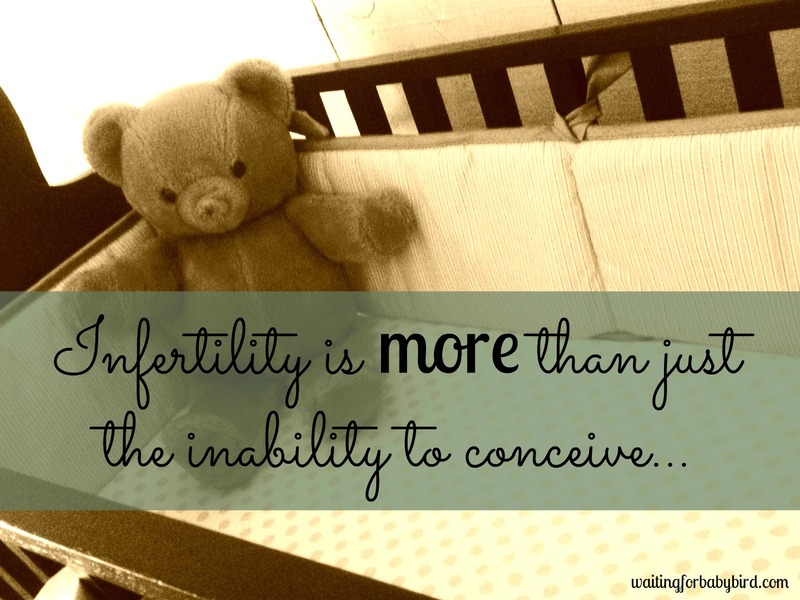 I have had similar experiences with friends expressing that they are dealing with infertility or are likely going to because prior health complications and so I was praying hard for them and one couple conceived naturally within 4 months… it was amazing for them but yeah it always hurts a little. She has been wonderful though by checking in with me and seeing how treatments are going and not over doing the Facebook updates and just keeping me involved which makes it easier. But it’s kind of like so if I pray with whole heart for myself, nothing, but for someone else, it’s quick… I just don’t always understand but maybe I don’t have to. It wasn’t until after Job prayed for his friends was he restored double. 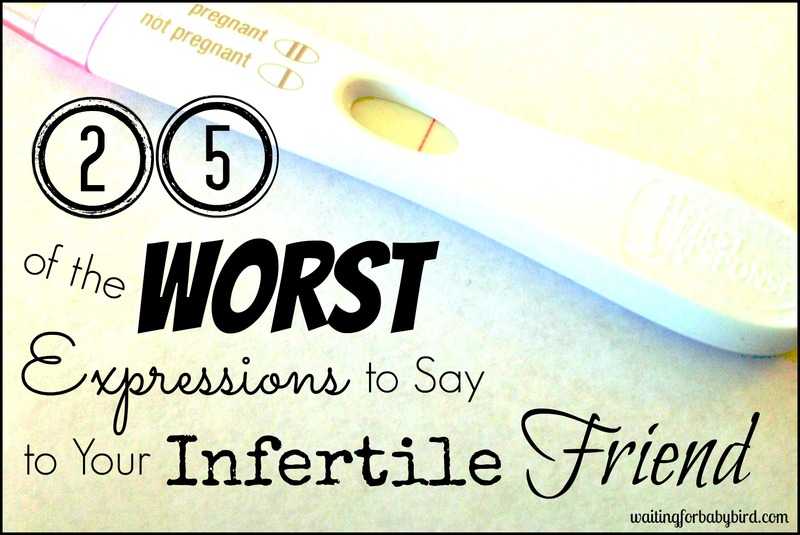 I have often said that I would rather see all my friends get pregnant before me. I truly mean it but I still wondered if I was missing something. It was just the enemy talking to me that day. Definitely. 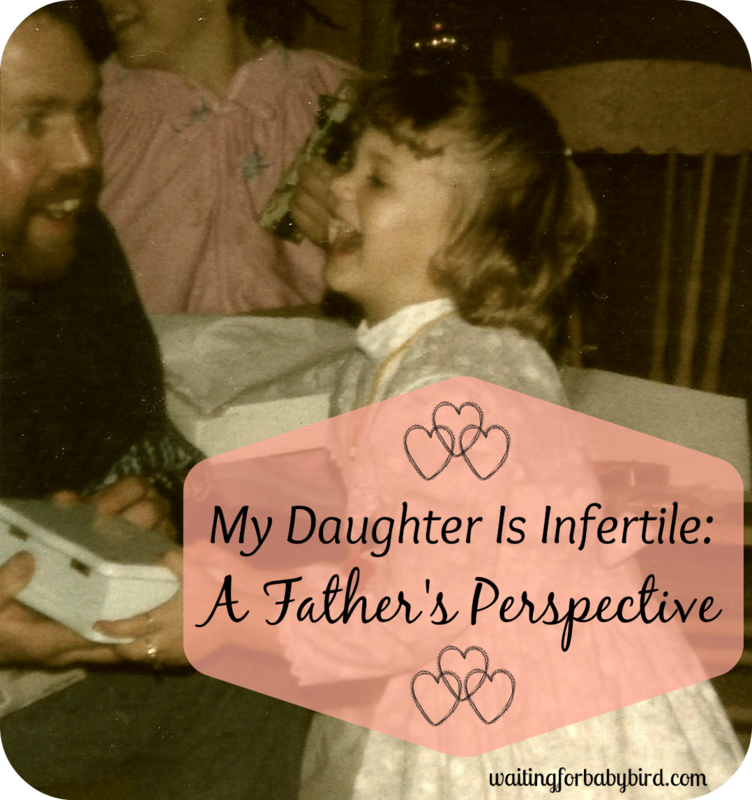 And I REALLY did want her to get pregnant because I didn’t want her to suffer like I have (she was on the likely infertile scale) so I really was and am happy for her. 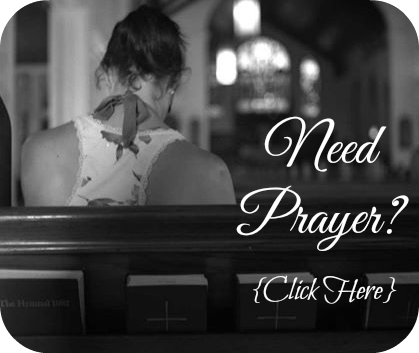 I am conintuing to pray for others as well, those who are infertile, likely infertile or have been trying for several months and already feeling the let down… and earnestly wanting them to get pregnant. It was always be hard but it’s a change in heart from where I was a year ago. Thanks. I didn’t really think of it as selflessness, so that makes me feel good, thank you! You’re awesome! Oh, and thanks for stopping by for ICLW! I look forward to following your journey. You’ve really helped me a lot too. 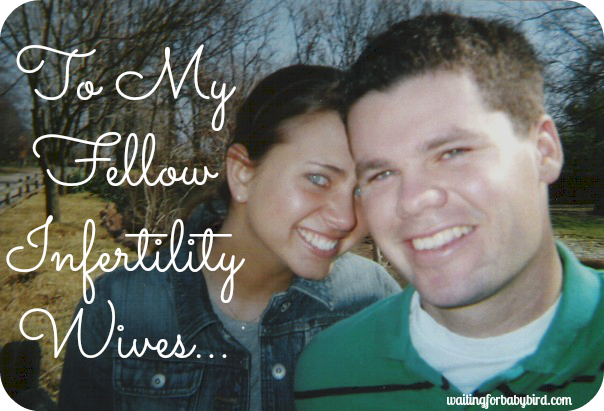 Instead of JUST praying for a baby, I now pray that I’ll give up control of our fertility and place it into God’s hands. It’s a very tough thing for me, since I’m so type A. Thank you for yet another inspirational post, your faith is humbling. From one type A personality to another, I know how hard it is to give up control but as you surrender day after day, it just becomes natural…like a part of your routine of getting dressed. By the way, I got my seventh email this morning of someone who once they gave up control and believed fully in their healing they got their BFP. Praise God! Elisha, this is exactly what I was thinking about your situation!! God is using you in such amazing ways, and SO many people have been touched through your story, blog posts, encouraging emails, friendship, support group…and I think the list goes on! God knows who He wants to bless through you, and WHEN this has happened, YOUR blessing will come! You were put in this place “for such a time as this”…of that I am sure! 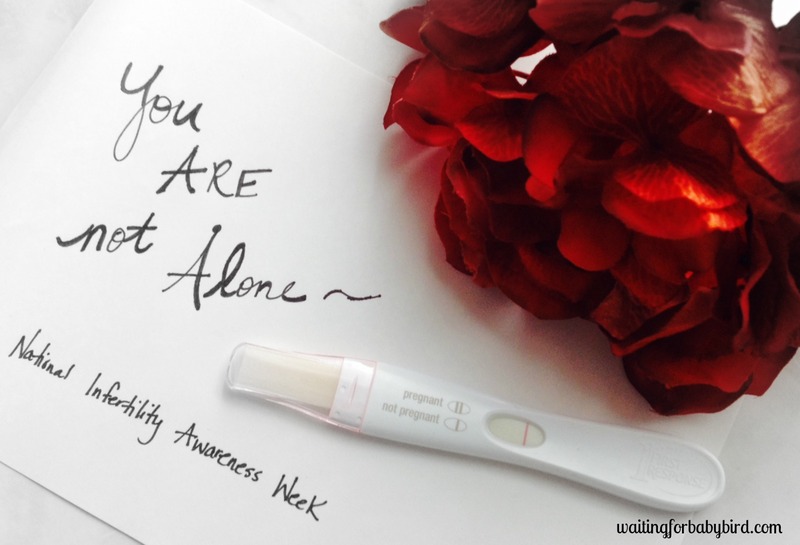 God is using your situation (even stupid PCOS!) to glorify Him! Those of us who you have touched will be forever grateful for the role you played in our lives. Your ministry will change after you become pregnant…so hold on until you help a few more ladies go deeper with Christ, and come to a better understanding of what He wants for their lives. You are right, you are doing nothing wrong in this…just keep at it. God is so thrilled at your obedience! Baby bird is coming SOON! Love you, sister! Becky can I just carry you around in my pocket all day so that you can continue to chat these amazing and encouraging words in my ear? hehe Love you lots!!! Wow. God is always right on time, isn’t He? What an awesomely special gift. He has perfect timing in EVERY area of our lives. Definitely one of those “God moments”. Not only is the figurine called Angle of Miracles, but your blog is called Waiting for Baby Bird, and the figurine just happens to be holding a baby bird?? Sometimes it amazes me just how direct He can give messages to us in these little ways. If you only knew me would you know why God has to be so direct sometimes. LOL! You were on my mind so much today after reading this post. God has used you so powerfully in my life, and I know He’s done the same in the lives of so many others. 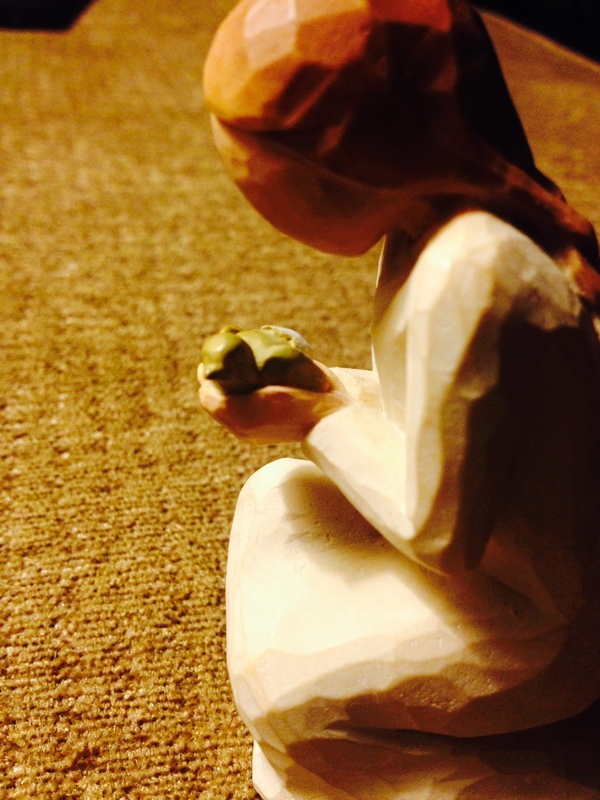 I love the Willow Tree Angel, and I love how creative God is in the ways He speaks to us. Praying for you extra today. I love reading this. I love His sign and I love your faith. It is really contagious. (Obvious by all the people you have touched!) I pray that you not lose it and not give in to the devil when he brings doubt into your mind. Aren’t showers just the best kind of therapy though?! I get my prayers, worship, and everything else going while getting a good lather happening at the same time..lol. God’s timing is amazing and perfect. He knows what we need just when we need it. He cares about the smallest details of our life…and will give us a pick me up because He knows we needed it. It’s so amazing how God has used your testimony to impact others…God is so amazing and faithful. Love ya!!! Oh Elisha, God is using you so mightily. In my own, limited knowledge, I would have you expecting right along with these other women, but God must have even more work to accomplish through you before Josiah comes, but my prayers remain for you- that it would be SOON! Love you girl! Thanks girl for your prayers!! Every month I don’t see a pregnancy, I just have to choose to believe that He still has something that needs to be done in me. I trust Him. xoxoxo!! I love this! What a perfect one to receive, in so many ways. Thanks sugars! I mean seriously?! It’s hatching out of an egg…and the name is angel of miracles?! LOVED IT! I have a friend who has been struggling with her pregnancy, I just got news from her that she’s almost due and everything is going smoothly for her. 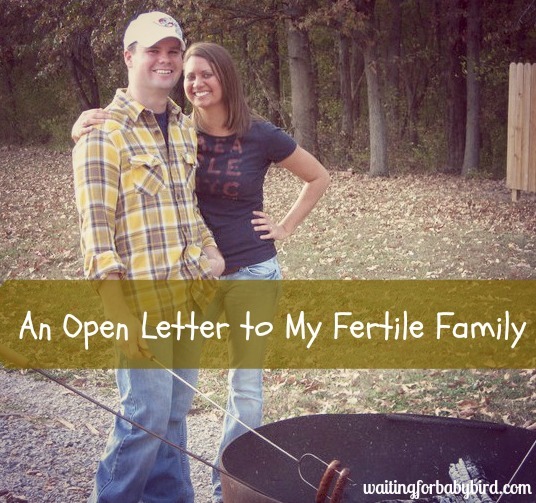 She had been wanting and trying hard to conceive for over three years now. Even in the constant failure in trying, she never gives up and she’s on a hope-and-joy infused vitamin because even when she has bad news to share she always manages to brighten the days of others. I believe in God’s perfect timing. As long as we do our part and give our very best to live accordingly to His divine will, God will give us the miracle we need.